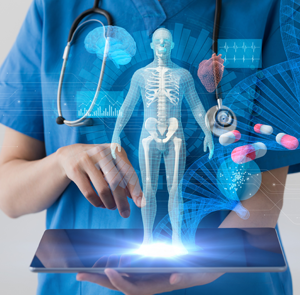 The American College of Physicians (ACP) and Frontier Science Foundation have partnered to provide cost-effective, rapid clinical trial services to developers of digital health applications. When your product requires high-quality evidence for FDA approval or for prospective purchasers, we have the experience and resources to make it happen. Evidence that will be trusted by health care professionals is essential for the successful growth of a digital health application. Conducting a clinical trial is critical for showing its safety and efficacy. Without a clinical trial, a product may face increased regulatory scrutiny and barriers, a less compelling message for potential customers, and a decreased market impact. ACP and Frontier Science share your goal of proving your digital health application is safe, effective, and desirable to patients and physicians. As highly-respected nonprofit organizations, ACP and Frontier have the reputations and experience to add credibility to trial results. There is no "typical" scope, timeline and budget for a clinical trial. Gathering accurate evidence may require anywhere from a few hundred to several thousand participants, with costs ranging from $15,000 to $1 million. Working with ACP and Frontier Science makes it easier to understand the process, collaborate on the goals, and be assured of a nimble and low-overhead project team. We want to hear more about your product! Contact us to plan a rapid, high-quality clinical trial.